I remember as a child my very wise grandmother told me that worry will not add a day to my life. She was probably, amidst all of life's trials and tribulations, the most serene person I have ever known. I believe there was a special place waiting for her in Heaven. 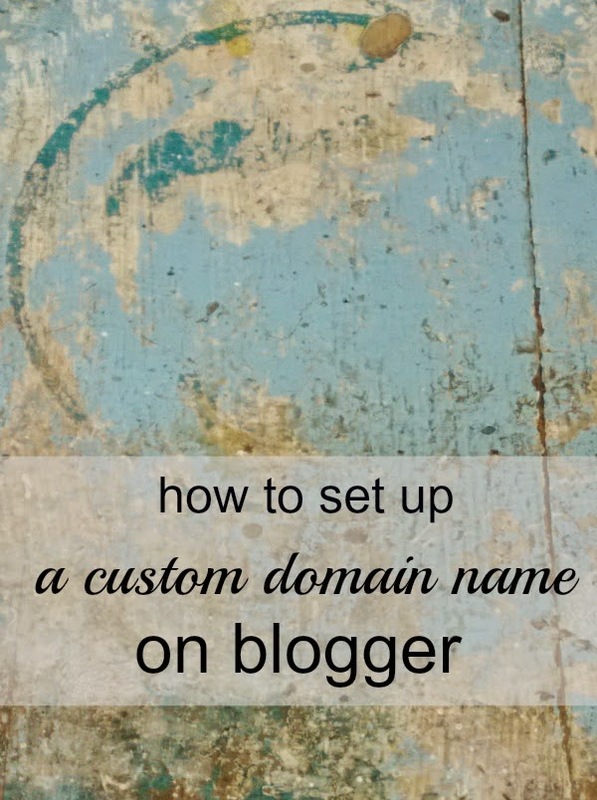 You may be wondering what that has to do with setting up a custom domain name in Blogger and also why I, a so not technology person, is writing about how to do it. Well, first of all I want you to remain serene while you change your own URL and secondly, I found instructions. No, I didn't cheat in school, but I did learn how to research and find ways to learn new skills, and this is definitely learning new skills for me. Before you get started on the change, the first thing you need to do is buy a domain name. I happened to purchase mine from GoDaddy,but there are many places where you can get one. Just Google domain names and lots will come up. So now that you have that perfect new domain name it is time to get it up and running on your blog. There is more than one place to find instructions, but I found that XOMISSE had instructions that were the easiest for me to follow. You can find those here. I am a visual person and their graphics really helped me. I did find that GoDaddy had relabelled a couple of their buttons, but it wasn't difficult for me to figure out. The most important thing is to take your time and follow the instructions exactly. Next thing you know you will have your new URL up and running. Now wasn't that easy? Time for me to get outside and enjoy this beautiful spring weather. P.S. I was not compensated by GoDaddy or Xomisse. All opinions were my own. Waaaaay over my head... I may stay in my own domain. Laura, your change went so smoothly that should encourage others if they would like to do it for themselves. Going from a blogspot to your own custom domain is well worth doing. It only helps to make you look just a touch more polished in the end. 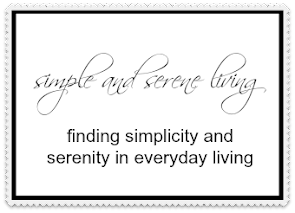 And I am feeling very Serene! I've been carrying on for six years just my merry way on Blogger. Why would one need their own domain? I am totally not a techy!! A little "why" would help in a post like this.